The mission of the National Advisory Board (NAB) of Epsilon Gamma Iota., Inc. is to serve and assist our membership of Epsilon Gamma Iota Incorporated by equipping and empowering the engineering community with professional training and knowledge of technical matters relating to engineering, engineering technology and computer science. The National Advisory Board’s goal is to foster an inclusive environment of community service and academic enrichment for breakthroughs in scientific disciplines by focusing on education, national programs and services in accordance with the purpose of the Fraternity and the Family. 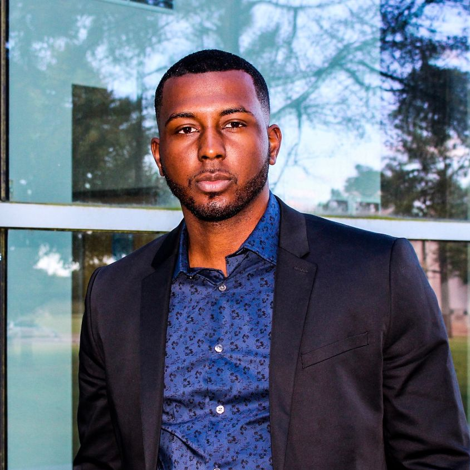 John Nicklos II, a native Houstonian, is a graduate of the University of Houston Bauer College of Business, where he received degrees in Entrepreneurship and Marketing through The Wolff Center for Entrepreneurship. 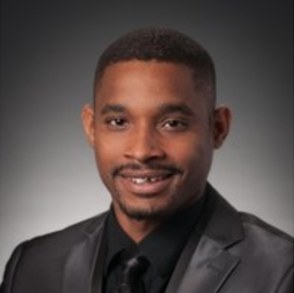 In addition to his achievements at the University of Houston, John studied Electrical Engineering at Prairie View A&M University where he worked in project management, project controls and quality assurance for Bechtel and Boeing. He has over 15 years of experience in business, leadership, sales, and operations. He has successfully built 15 companies from the ground up, four of which are nonprofit organizations. The National Director is the chief executive officer of the Corporation. The National Director supervises and controls all of the business and affairs of the Corporation. Responsibilities also includes presiding over all meetings of the members and the Executive Board. Derrick Davis graduated from Prairie View A&M University in December of 2014 with a B.S. in Computer Science after attaining his A.A.S in Computer and Electronic Engineering Technology in 2006. Derrick entered the lights of the Almighty Alpha chapter of Epsilon Gamma Iota, Inc. in Spring 2014 while in undergrad he held the positions of Community Outreach Chair and also Alumni Liaison. Derrick joined Epsilon as a way to culminate all of his successes as an engineer having already been a member of the National Technical & Vocational Honor Society, and holding the position of Telecommunications Chair in the National Society of Black Engineers both at the chapter and regional levels this opportunity was another piece of my engineering masterpiece. Family, discipline, patience, and endurance are things this great organization offers me. 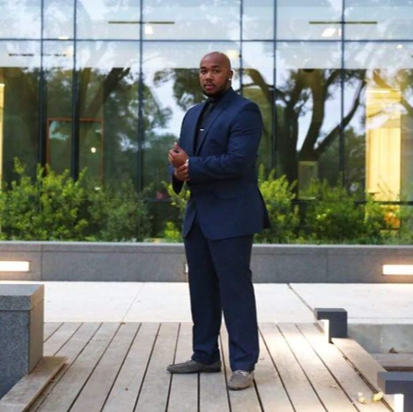 After graduation Derrick traveled to California to perform duties as a Senior Analyst of SAAS Application Development in the field of Business & Technology Integrations. He also worked as an Inclusion & Diversity steward within the company and this extended my duties to become a community outreach and recruitment resource. 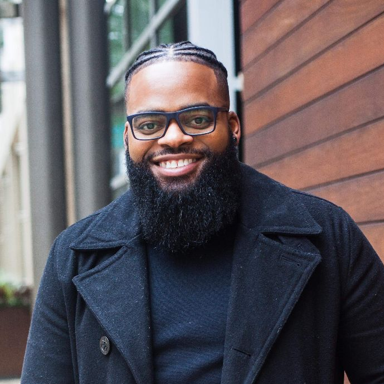 Derrick obtained many skills and certifications through his time with the company that now allows him to pursue personal entrepreneurial and contract opportunities. 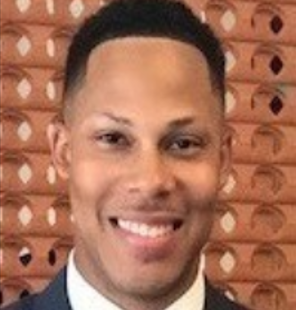 As 1st National Vice Derrick’s goals are to see where he can motivate the National Advisory Board and offer his services in efforts to build and support this organization. The 1st National Vice shall perform the duties of the National Director when the National Director is absent, is unable to act, or refuses to act. The 1st National Vice also shares the duties as the committee overseer with the 2nd National Vice; they are responsible for overseeing the activities of active committees. The 1st National Vice meets regularly with committee chairs and writes reports on committee activities. These reports are read during General Board Meetings. Dyonasis Collins is originally from Denver Colorado and grew up in Mansfield, Texas. 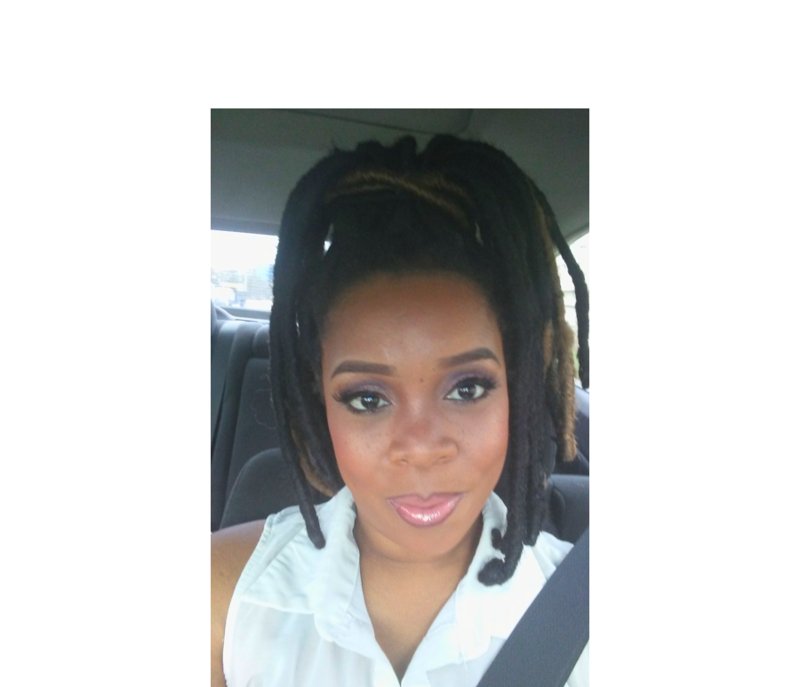 She began her college career at the esteemed Prairie View A&M University Summer 2015. She majors in Architecture with a minor in construction science. Dyonasis ultimately plans to obtain her masters degree in architecture and continue on to pursue a license in architecture. 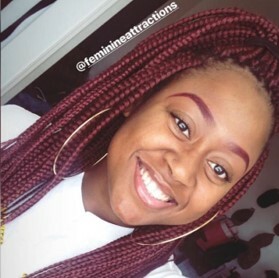 Dyonasis has been a proud member in various organizations on campus which has only made her love grow for the university. She joined the Almighty Alpha chapter of Epsilon Gamma Iota, Inc. in spring 2017. She also serves as the 2nd National Vice on NAB. Dyonasis is also recognized for her academic achievement by being on the honor roll and being in the honors program here at Prairie View. She has had the pleasure of being able to travel abroad to china and participate in the Miss Prairie View pageant. The 2nd National Vice is the only executive board position held by an undergraduate member, providing the undergraduate perspective. The 2nd National Vice shall perform the duties of the National Director when the National Director and 1st National Vice are absent, are unable to act, or refuse to act. The 2nd National Vice shares the duties as the committee overseer with the 1st National Vice; they are responsible for overseeing the activities of active committees. Justin Tatum is the current national advisory board recording secretary. He became an alpha chapter member in spring 2016. He currently resides in Orlando, Florida as a drainage engineer for lane construction. Respond helpfully to reasonable requests from the corresponding secretary in fulfilling the corresponding secretary’s duties and prepare draft letters or reports for the National Director or Executive Board at their request. DaKira Taylor, originally from Dallas, Tx (Oakcliff), studied Computer Science and graduated with her B.S in Spring 2017. DaKira pledged Epsilon Gamma Iota, Inc. in Spring 2016 (#3 – Olivia Pop3). After graduation, DaKira decided to stay in the Houston area to start her career and be closer to majority of the members of Epsilon. She is the only child, so she truly cherishes her bond with her brothers and sisters of Epsilon. She is currently employed at one of the top consulting firms in the world, Accenture Consulting as a Technology Consultant. She has worked on multiple SAP projects and plan to continue her knowledge, training and expertise in that field. DaKira is a go-getting, goal setter, and all-around happy and blessed individual. In her spare time, DaKira enjoys making YouTube videos and running her wig/bundle business. DaKira’s goal as Corresponding Secretary is to inform the members of all future events, send out a quarterly newsletter and various other activities. 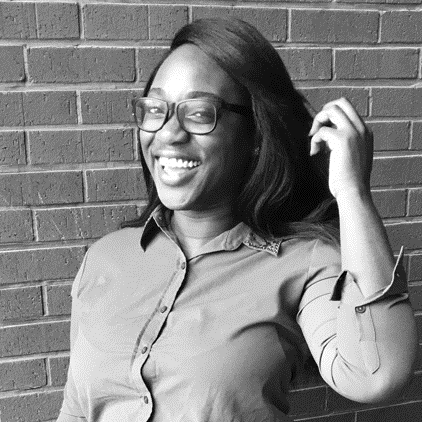 DaKira feels that communication is the #1 attribute to keep any relationship going and she plans to do as much as she can to give the brothers and sister of Epsilon what they need. Let’s continue to build upon our legacy! Respond helpfully to reasonable requests from the Recording Secretary in fulfilling the recording secretary’s duties, and prepare draft letters or reports for the National Director or Executive Board at their request. Ronnie Crenshaw is a Fall 2018 graduate that received a B.S. in Electrical Engineering from Prairie View A&M University. He became a member of Epsilon Gamma Iota, Inc. in Spring 2014. Ronnie joined Epsilon for the networking opportunities as well as to become a part of a family of like minded and goal oriented individuals. During Ronnie’s undergraduate studies he held the positions of President, Vice President, Treasurer & Assistant Membership Chair positions of the Almighty Alpha chapter. Also, during his time at Prairie View A&M University, Ronnie acquired co-op opportunities that has led to gaining experience in the oil & gas industry as well as the aerospace industry. Ronnie’s main goal as Treasurer is to compile accurate records documenting all transactions and dues paid in an easily accessible manner available for future treasures. Prepare financial reports annually and prepare or secure the preparation of all tax returns and related tax information. Samiria Percival has always had a passion for driving new membership. Alongside many other positions, she served as the Almighty Alpha Chapter President and New Membership chair two years in a row and even jumped on to the National Board as 2nd National Vice before she graduated. Not only does she have tons of experience with new membership initiatives, but she also has big plans for recruiting and membership retention. She’s already making her mark by innovating the current training sessions and adding value to our membership by incorporating member-only incentives and perks. Samiria’s major goals throughout the duration of her term is to spread the radiant light. Samiria believes that they key to growth is a solid foundation. She feels that with a solid core the light of Epsilon will radiate to great depths. The Director of New Membership is to oversee the Membership Intake Process (MIP) activities of the undergraduate chapter, ensuring they meet National standards and remain in good standing as outlined in the National Bylaws of Epsilon Gamma Iota, Inc. and by the associated university/college. Tariq Na’il Muhammad is proud member of Epsilon Gamma Iota Fraternity Incorporated. He joined this great Framily in Spring 2015 through the Alpha Chapter on the campus of Prairie View A&M University. As an undergraduate member Tariq served as Recording Secretary and Assistant Membership Chair (AMC). Tariq graduated with a Bachelor of Science degree in Civil Engineering from PV May 13, 2017. He is currently working for Accenture as a Management Consulting Senior Analyst and currently holds the position for Director of Undergraduate Affairs. The Director of Undergraduate Affairs is to oversee the activities of each undergraduate chapter, ensuring they meet National standards and remain in good standing as outlined in the National Bylaws of Epsilon Gamma Iota, Inc and by associated university/college. These activities include social events, fundraising efforts, and community service projects. Jessica Grice-Gridley became a member of Epsilon Gamma Iota, Inc. in the Fall of 2002 through the Almighty Alpha Chapter. During Jessica’s undergraduate years at Prairie View A&M University, she served as Historian and Step Master of the Alpha Chapter. 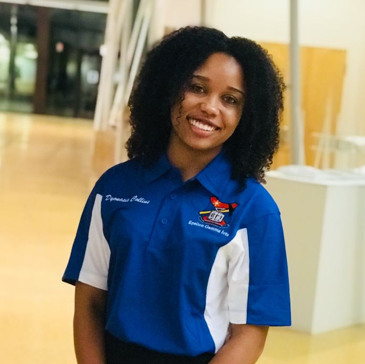 While at PVAMU, Jessica has been a member of SGA, Council of Student Organizations, PALs, worked as a CA in the University College, as well as many other activities and organizations. 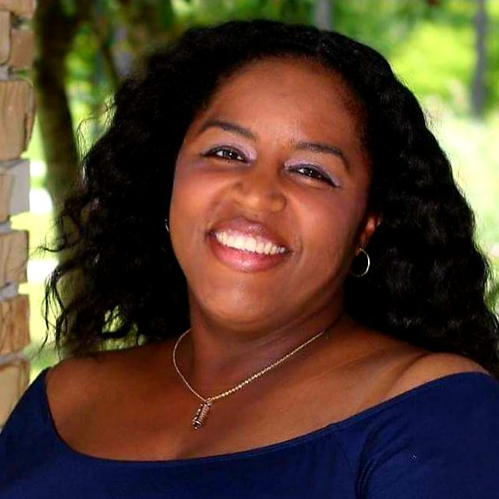 Upon graduating PVAMU in May 2010, Jessica moved to Dallas, TX to work for Luminant as a Technical Data Specialist in Process Management. Jessica now lives in Houston, TX where she works as a 4th and 5th Grade Math teacher. Jessica is also the mother to two wonderful beautiful girls, Ry’Leigh and Ja’Ziah. As a member of the National Advisory Board, Jessica’s primary goal is to integrate lasting and meaningful activities for the Undergraduate and Graduate members. She hope’s to provide fun and exciting adventures and memories to last a lifetime. The Director of Social Events is responsible for coordinating all National events including all activities related to the Bi-Annual National Convention. Jeremy Williams became a member of Epsilon Gamma Iota, Inc. in the spring of 2008. During his undergraduate years at Prairie View A&M University, he served as Vice President of the Alpha Chapter. While at PVAMU, he was captain of the golf team and won 3 collegiate golf tournaments. Jeremy was also named Academic All SWAC and was recognized as the Computer Science Student of the year for excellence in the classroom. Along with school and golf, he worked part time at the PVAMU Storefront as a program tester for Lockheed Martin. 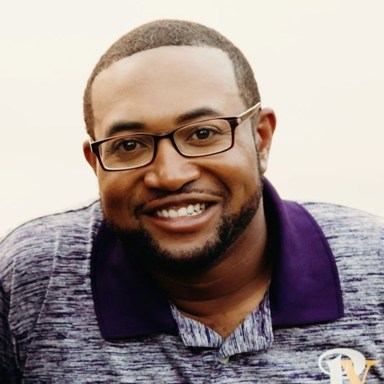 Upon graduating PVAMU in May 2010, Jeremy moved to Chicago, IL to work for IBM as a Technical Sales Specialist in Enterprise Storage solutions. Jeremy worked at IBM for 3 years until deciding it was time to pursue his true love and passion for Golf. He currently works for Golf ATX as a Ball Flight coach and Golf assistant for the City of Austin golf courses. Jeremy gets to use some pretty cool and very advanced technology to help golfers understand their swing and help them play better. Jeremy lives in the beautiful city of Austin, TX where he was born and raised. When he’s not golfing, Jeremy volunteers at the First Tee and Junior Golf Academy to help teach and mentor young minority golfers. As a member of the National Advisory Board, Jeremy’s primary goal is to improve both the electronic and verbal communication of the organization to increase the attraction and awareness of members and sponsors. Kimberly Allums is an Alumni of Prairie View A&M University. She received her doctorate and currently works in the aerospace industry in engineering and science. For all positions above, the candidate must be a good standing (financial) member of the Corporation. Candidate must be classified as a Graduate member with the Corporation. (Some positions have amount of time associated) Undergraduate members and Transitional members are not eligible for this position.